Amex Diwali offer is one of the most awaited offers in the credit card industry as it used to be highly rewarding. Last year it missed its charm a little bit but this year they’ve taken this to a whole new level – Its a targeted promo now! The offer is applicable for only select American Express Cardmembers. A Cardmember is eligible for this offer only if he/she has received an offer communication directly from American Express through any of its channels. A Cardmember will be eligible for a maximum of one voucher in the offer. In case the Cardmember holds and enrolls more than one eligible American Express® Card, the Cardmember will receive a total of only one voucher. Spends on the Supplementary Card(s) will be accounted under the Basic Card. The Supplementary Card(s) need not be enrolled separately. Excluded Cards: Centurion, Plat charge card, Jet/Co-branded card & corporate cards. Fulfillment: 28th Feb 2019 & Voucher will expire in 1 month. To Enroll: Please check your email or Call Customer Care. It looks like this time Amex wants to highly reward only those who have been loyal to them. Meaning, if you’ve been spending good enough with them, you would have got the #3 offer, else if you were spending very low, then you would have got only the #1 offer. That’s just my assumption and i think that makes good sense as well from their business point of view. Also, this eliminates those who could have been double dipping, for ex, on plat travel card. But the sad part is, for those who have been holding on spends just to put it during Amex Diwali promo, this is going to be highly disappointing. Also i wonder why they excluded plat charge & centurion cards. Maybe they’ll get far better promo, or maybe not? Cust. care said they’ve no update on it yet. However, the good news is, you’ve close to 2 months to reach the target, instead of usual 1 month. Also, there are no restrictions on the spend categories this time. Whenever i call Amex customer care, they greet me saying “thanks for being one of our highly valued customer” and i’m happy that they didn’t disappoint me. I got the #3 offer email on my Plat Travel card. So i think being loyal does pay back! What offer have you received & how often are you using your card? And just incase if you’ve multiple cards (or) if you haven’t got any communication from Amex, You can call the Customer care and ask them to check the offer enabled on your card. Overall you save upto 5.3% (on offer #2 & #3) on spends and on top of that you also get the regular points on spends. Even though the reward rate of this offer is similar to 2017 Amex Diwali Offer, the good thing is that they’ve raised the voucher value to 25k. For those who’ve got the Paytm offer, i hope Amex takes the feedback and does something better in upcoming promos. 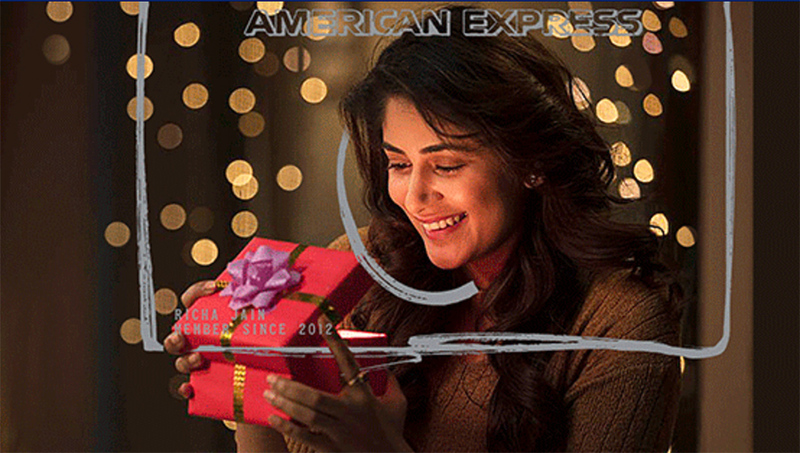 American Express keeps tuning their Diwali promos every year and 2018 Offer gives more of mixed feelings. Do you feel the same? Do share your thoughts in the comments below. I received no.1 on platinum reserve card. Maybe due to low spends? Got #3. Earlier got 15K hotel voucher. Thanks Amex. They are d best in d business. Thanks sid for d quick update. I have made spends of more than 35 lac in last 6 months and last month alone I have made 10 lac of spends on my platinum charge card. If they consider this to be low spends, I don’t know how much is expected?? I don’t think so for loyal costumers, I have been a very loyal costumer to Amex from a long time. Plat charge is not considered in this promo and yes its strange. Do check with customer care about it. Btw, Why do you spend this much on Plat charge while you could get better reward rate on other cards? I guess this offer is for my MRCC card that they have sent, I don’t use much of MRCC. Had been using Charge Card for purchases overseas, since it’s kind of safe from any fraudulent transaction and Amex reverses any such misfortune. Not sure I interpreted what you mean correctly: Does you mean I will be eligible for only 1 bonus reward offer ? No, i meant Diwali offer + default milestone rewards on Plat travel as double dipping. I too received Offer #3 on Platinum Travel Card but the card limit I have on this card is 400000. So, how would I send 475000 in 50 days. I need 2 billing cycles to clear the due for 1st and pay in next cycle. Well, you can pay upfront after charging ~4L so your limit will get freed up. Caution: Donot pay advance when outstanding is nil. Your ac will get reviewed and funds will be released only after a week. I don’t see any offers are rolled out to charge cards. Anyone got the offer for charge card? Call Cust. care, they can say if your charge card has any offer. They said i’ve same offer on 2 cards but got email only for plat travel card. Did call costumer care and checked if they can consider my Reserve card for the offer. She did check with concern team and later said it’s an system generated offer and cannot be altered what so ever. So people you need not call costumer care, what u have received is what will stay and it cannot be changed what so ever. This is very disappointing for me ☹️ . Had been waiting for this offer from quite sometime. But did u get any reason as to why Plat charge is excluded Or if they plan to roll out a better offer for you? No more offers Sid, out of all cards you got system selects one and chooses the offer based on that cards usage. I am not sure why my MRCC Card was choose when I had other 3. Also seems like system is mostly choosing Platinum Travel Card for #3 offer or something like that. But I seriously feel they should have considered Charge card for the hefty annual charges that we pay. Waiver on Plat travel is interesting & may i know which month this happened? Last month, In fact i never thought they would do. Cool. This means they’ve reduced the spend expectation (15L earlier). Few months back I was said the expectations are high (temporarily) as Amex invested a lot on the domestic travel site made for Plat travel cards. So maybe they got enough funds now or maybe many started closing their cards! I got offer #2 in my Platinum Travel card. Have registered for the offer but don’t think I can do such spends in 50 days. Actually in my view, Amex have been devaluating the Diwali offer since the last couple of years. On exploring why this is happening, i heard that Amex got huge loss with 2016 promo for various reasons, wallet loading being one of it! This is way better than the current diwali offer, where one has to spend 1.9 L and wait for 3 months for 10K voucher. Not worth going for it unless you are spending now anyways. I got the Offer#2 for my travel platinum card. I spent 4 lakhs till now. No email, no communication recieved. I just checked my mail and I received offer #3. Whats surprising is that this was received for the membership rewards card for which I literally make just 4 transactions of 1k each every month. I do make large transactions on my Jet Privilege Amex card, but that’s not eligible for the offer. I have a MRCC card (no annual fees) and hardly spend except for offers and 4X 1000 per month for 1000 reward points. I got #1 Paytm offer. Do you think having such a low spend on Amex is dangerous – as in will they discontinue the card? (normally my spend is between 50k to 100k in a year except year 1 when I spent 250k). I got offer #3, and I am disappointed that it is on my Platinum Travel Card instead of the Platinum Charge Card. The Platinum Charge makes so much more sense, as I can combine with other Platinum Charge benefits, and also get 25% more points. Anyway, having mixed feelings. Spoke to customer care. They will roll out separate offer Platinum Charge. Lets wait and see. So I got offer 3 on my Plat Travel Card and my usage is approx 1 lac pm. Though it’s tough to reach this milestone for 25k Tanishq vouchers but it’s a lucrative offer. Hope to achieve it. i mostly do shopping online & purchase tickets from various websites. Amex offers are reducing every year. In 2015, they gave 5K Tanishq for minimum spends on 50K. In 2016, they increased to 90K for 5K tanishq vouchers. Now, for 90K its paytm movie vouchers for 3K and that too valid for 1 month. While the reducing rewards is true for almost all cards, Amex is leaving small spenders behind. I am planning to buy a mobile ~20K and some family members’ household things for another 10-15K. For spenders like me, this is completely useless. Fortunately, I have Regalia card which is giving much better offers. Even yes bank hasn’t come up with any Diwali offers till now. Don’t spend guys.. instead invest in wealth creation. Especially the younger generation. Have to see what they are going to offer this time. Also i got the #3 offer on my gold charge card. Spend INR 57000 between 10-Oct-18 and 10-Nov-18 to qualify for 2x Rewards. spend INR 142000 to qualify for 5x Rewards. I got offer 1 on MRCC, certainly not worth considering! I still prefer IndusInd iconia offer where it gives 34k 4% 58000 6% 80000 10%. Personalised target so others who registered will get individual messages. Maximum points accured can be 20000. Usefully the points can be redeemed against statement credit for 1re value. Personally will not be using it as there are no plans to purchase any items nor want to load it with the wallet, and get into manufactured spending!. I got offer#2 in my MRCC. But I am not sure if i will be using that much in that period. Finally the Amex offers are out. What offer did you get? It is on Amex credit or on Amex charge. Just curious. Fulfillment date is incorrect i guess, it should be Feb 2019. I did not get the offer mail … but when I contacted customer care, they said I have offer 2 on my Platinum Travel card … the lady said she will send the mail for registration in next 2-3 hrs … Didn’t receive it even after that time … Called the customer care again – the guy said he has contacted the marketing team and has enrolled me in the offer – he said I will get the enrollment confirmation mail in 24-48 hrs … Fingers crossed!!! Did anyone face a similar issue? can u send the link which u have received so tht i can register , the customer care says the offer is there on my card but I dont see any mail from amex . Your review has helped me decide on multiple cards. I got yes preferred card, dumped the idea of getting SC ultimate card. Thanks for that. The catch is that the net income criteria, I’m confused what they considered net here. I don’t get the prescribed limit of 15 LPA as salary credit to my bank account. ( I run close, but don’t make the cut off limit ). But my gross substantially exceeds. What does the AMEX consider here as net. I would give a try to evaluate with them, they attach the condition in the terms that the check will affect my credit score. Well I don’t have to disqualify myself for some good cards/ loan deals in near term because of this. I received offer #3 on my charge card as well as on my plat travel card. Will I get 2 vouchers if I spend INR 4.75 lacs each on both the cards. When did you get the one for your charge card? Is it gold charge? But if I were you, I would still call the customer care to check. Do we get offer on Amex jet platinum card as well? Haven’t received any communication till now. Got offer 3. There would be very few who would want to spend 4.75L and get 5.3% in return during this festive season when benchmarks have been at least 10% and 5x, 10x types. Suddenly I feel only HDFC Bank is the best out there today since some time now. No-one is able to match the benefits. I have received offer #3 only but can not reach there for spend till 30th Nov. Any reward for spend upto 1 Lac? Got the Offer#2 and completed the target spend.Waiting for the voucher!!!! Any idea about “Dedicated Account Manager” for AMEX cards. Got an email with a contact number mentioning the same. I look forward to interact and engage with you to help you get the best out of your card membership. If you wish, you can add me to all your interactions with American Express® so that I can be your single point of contact to enhance your membership experience. Is this the same email you received?. Against which Amex card did you get this mail? Have anyone availed the amex mediclaim insurance benefits partnered with Bharti AXA? Is it worthy to try out than from open market? Amex health insurance is from ICICI Lombard. I have it, it’s a good deal for me. You get 10K preventive health cash back, basically they give me 10K back if I send my gym membership receipt. You can use it for OPD as well. I checked on ICICI website, and the offer through Amex was around 15% cheaper, so I took it. I’m pretty sure it’s the same policy as you get directly, but there is a separate customer care and claim processing team for Amex customers and there is no involvement of TPAs. Bharti AXA has car insurance partnership with Amex. Unless getting a massive discount, I won’t bother with it. Bharti AXA has awful reviews on Team BHP and the quote they gave me is twice the price of HDFC Ergo, 1.5X the price of my current renewal offer from ICICI, and 3X that of Acko. Usually, it is a good idea to gather best quotes and just ask your preferred garage which one among them you should pick. Thanks Amex Guy! This is helpful. Please let me know if anyone has received the Tanishq vouchers. Also by when is it expected to be delivered. anyone recieved the vouchers yet? last year it was delivered in 21dec? Nothing yet. may be in a few weeks. They are supposed to disburse by 28th Feb.
Well, if they would give the voucher by 19th Feb as AMEX is running an instant discount of RS.10000 on 100k+ purchase. Anyone got the Amex Diwali vouchers? Got the Tanishq voucher today.